Three types of Monsanto genetically modified corn are under scrutiny in the wake of a new study published by the International Journal Of Biological Sciences which found that rats ingesting the corn were subject to statistically significant amounts of organ toxicity. These three types — Mon 863, insecticide-producing Mon 810, and Roundup® herbicide-absorbing NK 603 — have been approved for consumption in the US and several countries in Europe. The finding that corn produced by one of the world’s agricultural giants could cause organ failure has been met with obvious concern by food activists and consumers alike. It’s not the first bout of negative publicity for Monsanto, which has been vilified for everything from producing Agent Orange, intimidating farmers, using aggressive tactics to squeeze out competition, pressuring farmers to be dependent on their products, and strongly promoting the use of genetically modified seeds here and abroad. 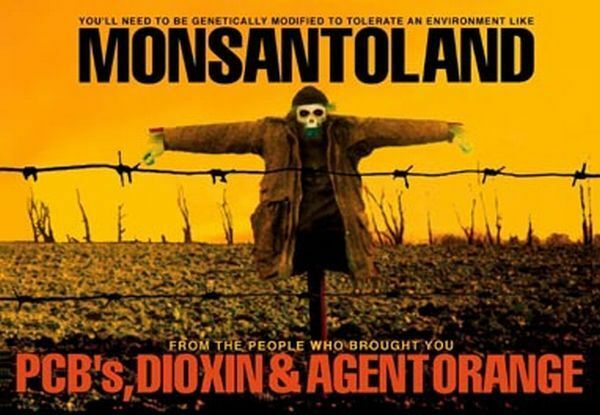 It has been negatively portrayed in films such as “Food, Inc.” and “The World According To Monsanto”.